BULLION - Bullion counter may trade sideways to negative path. Gold prices inched down on Monday as Gold inched up on Tuesday, but was trading near a more than three-week low touched in the previous session as the U.S. dollar strengthened and equities rose. The dollar was up 0.1 percent against key rivals, trading close to a three-week high posted in the previous session as ebbing concerns about the global economy pushed U.S. bond yields up from 15-month lows. U.S. manufacturing activity rebounded a bit more than expected in March, according to an industry report released on Monday, as production, new orders and hiring all picked up. U.S. retail sales unexpectedly fell in February, but a rebound in factory activity in March and strong increase in construction spending offered hope the economy was not slowing as sharply as previously feared. China raised its gold holdings by 9.95 tonnes in February, according to data from the International Monetary Fund. The Perth Mint said on Monday its gold products sales in March surged about 68 percent from the previous month, touching the highest level since November last year. BASE METAL - Base metals prices may trade sideways path. Copper and most other base metals fell on Tuesday as the U.S. dollar edged higher and as supply concerns from a copper mine in Peru eased slightly. The Peruvian government offered a deal to indigenous protesters to lift their blockade at the Las Bambas copper mine owned by China MMG Ltd, but a decision is pending agreement among the indigenous community. Indigenous protesters have blocked roads to the mine since early February, demanding compensation from MMG for using a stretch of road on their farmland. Las Bambas produces about 2 percent of global copper output. Russian aluminium giant Rusal has resumed supplies to the U.S. market and aims to win back customers it lost due to sanctions by about September when the industry seals supply contracts for 2020. BULLION - Bullion counter may trade with volatile path. Gold and silver prices are modestly down amid mild profit-taking pressure from recent gains and a firmer U.S. dollar index on this day helped to pressure the precious metals markets. Gold investors should pay more attention to what the Federal Reserve is actually doing instead of listening to comments from a Federal Reserve governor nominee, according to two market professionals. Stephen Moore, President Donald Trump nominee for the U.S. Central Bank, is raising eyebrows after he said, in an interview with the New York Times Tuesday, that the Federal Reserve should immediately cut interest rates by 50 basis points. The comments come as a surprise to markets which are still digesting last week monetary policy meeting that saw the U.S. central bank signal that it does not expect to raise interest rates this year and downgraded its economic growth forecasts. ENERGY- Crude oil may trade on negative note as oil prices fell on Thursday, extending losses into a second straight session, after widely watched data showed a surprising increase in U.S. stocks. Prices came under pressure from a rise in U.S. inventories, athough analysts pointed to support from efforts by the Organization of the Petroleum Exporting Countries (OPEC) and nonaffiliated allies like Russia, known as OPEC+, to trim output. Prices came under pressure from a rise in U.S. inventories, athough analysts pointed to support from efforts by the Organization of the Petroleum Exporting Countries (OPEC) and non-affiliated allies like Russia, known as OPEC+, to trim output. U.S. utilities likely withdrew 40 billion cubic feet (bcf) of natural gas from storage last week amid typical temperatures for the period. BASE METAL - Base metals prices may trade sideways to negative path. London copper prices edged lower in early Asian trade on Thursday as the dollar strengthened, while investors awaited news from U.S.-China trade talks restarting in Beijing. The 10-member China Smelters Purchase Team (CSPT) will meet in Shanghai on Thursday to determine floor treatment and refining charges (TC/RCs) for copper concentrate in the second quarter. The dollar rose on Thursday as many of its peers weakened after more central banks opted to shift to a dovish policy stance in the wake of deteriorating economic prospects. Indonesia's nickel-related industries such as the production of stainless steel and battery materials are set to surpass the value of its second-biggest export earner, palm oil, in the next 10 to 15 years, its investment board chief said on Wednesday. Aluminium touched a one-week high on Wednesday as inventories fell and prices shrugged off another step towards a full restart of Norsk Hydro Brazil alumina operations. BULLION - Bullion counter may trade with positive bias. Gold prices firmed on Monday as concerns about a potential U.S. recession and decelerating global growth weighed on stock markets, which increased appetite for safer assets. Investors dumped shares on Monday and fled to the safety of bonds, while the Japanese yen hovered near a six-week high as risk assets fell out of favour on growing worries about an impending U.S. recession, sending global yields plunging. U.S. markets received a clear warning of coming recession on Friday when the spread between yields on three-month Treasury bills and 10-year notes fell below zero for the first time since 2007 after U.S. manufacturing data missed estimates. U.S. manufacturing activity unexpectedly cooled in March, a troubling sign for the economy although the housing market showed signs lower interest rates were giving it a boost. ENERGY- Crude oil may trade on negative note as oil prices kicked off the week trading with losses as concerns of a sharp economic slowdown outweighed supply disruptions from OPEC production cutbacks and U.S. sanctions on Iran and Venezuela. The Organization of the Petroleum Exporting Countries (OPEC) and non-affiliated allies such as Russia, together referred to as OPEC, have pledged to withhold around 1.2 million barrels per day (bpd) of oil supply this year to prop up markets, with OPEC de-facto leader seen to be pushing for a crude prices of over $70 per barrel. The darkening economic outlook overshadowed the supply-side issues the oil market was facing amid supply cuts led by producer club OPEC as well as the U.S. sanctions on Venezuela and Iran. BASE METAL - Base metals prices may trade sideways path. Most base metals moved lower in early Asian trade on Monday, as investors worried about the prospect of a recession in the United States, the world's biggest economy. Copper stockpiles in ShFE warehouses fell slightly to 259,172 tonnes last week after a rapid build during a seasonal lull in demand. Chile's Antofagasta expects to reach an agreement with miner BHP to help ensure water supply at its Zalidvar copper mine in the country's northern desert, a company official told a Chilean newspaper on Friday. China Hongqiao Group said on Friday that a doubling of alumina sales helped offset lower aluminium production and prices, leaving its net profit steady in the second half of 2018. China reverted to being a net importer of alumina in February for the first month since April 2018, while its scrap metal imports plunged to just 160,000 tonnes, the lowest in customs website records going back to June 2014. Scrap copper imports stood at 60,000 tonnes. Base metals prices may trade with sideways to weak bias. Copper may test 450 while facing resistance near 460 in MCX. Chilean state-run miner Codelco will continue to develop its lithium assets, including committing $57 million for further exploration, Chile's mining minister told Reuters, even as progress has stagnated at its flagship projects. The premium of cash LME copper over the three-month contract stood at $31.50 a tonne on Wednesday, less than half the previous day's $70 a tonne in a sign of easing supply tightness. Zinc can test 195 while facing resistance near 198. Lead can dip further towards 146. Nickel can also test 935 while facing resistance near 960. Aluminum prices may trade in range of 143-145. Shanghai aluminium fell for the third straight day on Thursday to a near three-week low, due to rising inventories and Chinese demand concerns. China, the world's biggest consumer and producer of the metal, will report its February aluminium export figure on Friday. Shipments surged to a record high of 552,000 tonnes in January. Russia's Rusal, the world's largest aluminium producer outside China, said global aluminium demand is expected to rise by 3.7 percent in 2019 to 68 million tonnes as it posted a fourth-quarter adjusted net loss of $17 million. Crude oil may open on positive note as oil edged up on Thursday amid ongoing OPEC-led supply cuts and U.S. sanctions against exporters Venezuela and Iran, although prices were prevented from rising further by record U.S. crude output and rising commercial fuel inventories. Prices are being supported by efforts led by the Organization of the Petroleum Exporting Countries (OPEC) and other countries - a grouping known as ‘OPEC+’ - to withhold around 1.2 million barrels per day (bpd), a strategy designed to tighten markets. U.S. sanctions against the oil industries of OPEC members Iran and Venezuela have also had an impact, traders said. Venezuela’s state-run oil firm PDVSA this week declared a maritime emergency, citing trouble accessing tankers and personnel to export its oil amid the sanctions. Crude oil can test 4000 while taking support near 3930. U.S. crude oil stockpiles rose much more than expected last week, with inventories up by 7.1 million barrels to 452.93 million barrels EIA, according to a weekly report by the U.S. Energy Information Administration (EIA) on Wednesday. 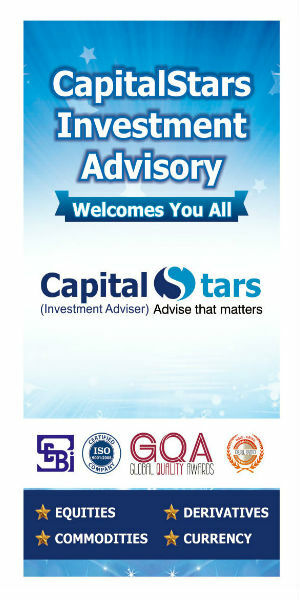 Natural gas may test 205 while taking support near 198 in MCX. 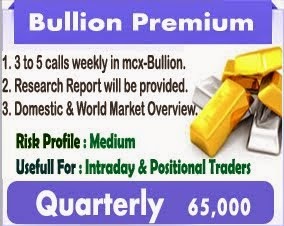 BULLION - MCX Gold and Silver may note mixed trade in line with international market but bias remains on the downside. COMEX gold trades in a narrow range near $1315/oz after a 0.4% decline yesterday. Weighing on gold price is marginal gain in US dollar amid better than expected US economic data and no major cues from comments from Fed officials. US Q4 GDP growth slowed down from 3.4% to 2.6% but was slightly better than market expectations of 2.2% growth. Fed officials reaffirmed patient rate hike stance and end of bond reduction plan however there was no cues indicating further dovish tilt. ETF inflows also show weaker investor interest in gold. Gold holdings with SPDR ETF fell by 4.09 tonnes to 784.218 tonnes. Meanwhile, market players are eyeing geopolitical development and US-China trade talks. Tensions relating to US-North Korea rose as the two day summit ended abruptly. On other hand, no further escalation and reports of release of Indian air force pilot thawed concerns about India-Pakistan fight. On trade front, latest reports noted that US officials are preparing a final trade deal that President Donald Trump and his Chinese counterpart Xi Jinping could sign in weeks. However, comments from US officials also indicated that more work needs to be done and the administration won't accept a deal that doesn't include significant "structural" changes to Chinese economy. Gold has been on a downtrend after failing to break the $1350/oz level and amid no fresh positive triggers however we expect the price to stabilize near $1310/oz levels as global economic and trade uncertainty will keep a floor to price. For the day, one should wait for higher levels to create short positions. ENERGY- Crude Oil- MCX Crude oil may note mixed trade in line with international market but overall bias is on the upside. NYMEX crude trades above $57 per barrel after a 0.5% gain yesterday. Crude trades higher supported by sharp decline in US crude oil stocks, better than expected US economic data and OPECâ��s stance to continue with production cuts despite US displeasure with higher price. Saudi Arabia has also indicated that they may extend production cuts into second half of 2019. Meanwhile, reports indicated higher compliance by OPEC members last month. As per JBC Energy, OPEC output fell by more than a half-million barrels in February. However, weighing on crude oil price are concerns about health of Chinese economy amid disappointing economic data. The US and global equity markets are also under pressure amid increased geopolitical uncertainty and as market players eye development relating to US-China trade talks. Also weighing on crude price is record high US crude production and reports that Canada has further reduced production cuts for the month of March amid signs of easing glut. Crude has recovered all the losses noted earlier this week and has moved back to recent highs however we still do not expect that price will break past the $58 per barrel. 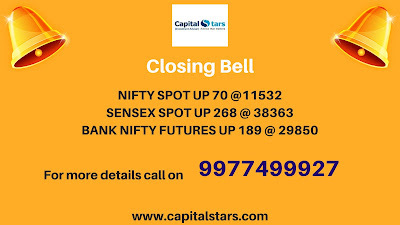 Hence, we recommend one to wait for corrective dips to consider fresh longs. Further cues will come from US economic data, development relating to US-China and US weekly rig activity report. downside. NYMEX natural gas trades weaker near $2.8/mmBtu after a 0.5% gain yesterday. US EIA weekly report noted a 166 Bcf decline in US natural gas stocks which is more than 5-year average decline of 104 Bcf but less than market expectations of 174 Bcf decline. Also weighing on gas price is higher US gas production and nearing end of winter season. However, supporting price is forecast of cold weather in US which will keep heating demand high in the near term. Natural gas is consolidating in a range amid mixed cues as market players assess current high demand against nearing end of winter season. Natural gas may witness mixed trade but selling could be considered at higher levels as demand is unlikely to sustain. Further cues will come from US weather forecasts and US weekly rig activity repot. BASE METAL - Most Base metals on LME trade lower today after noting mixed movement yesterday. LME Zinc was the best performer with 1.2% gains followed by 0.7% rise in Zinc prices. In other metals both Copper and Nickel ended nearly unchanged while Aluminium closed 0.6% lower. BULLION - MCX Gold and Silver may note mixed trade in line with international market but general bias is on the downside. COMEX gold trades in a narrow range near $1320/oz after a 0.5% decline yesterday. Gold fell yesterday amid marginal gain in US dollar and amid no new takeaway from Fed Chairman Jerome Powellâ��s testimony. Fed Chairman Jerome Powell said on Wednesday that the Fed will stop shrinking its $4 trillion balance sheet later this year in line with market expectations post last weekâ��s FOMC minutes. The US dollar managed to see some gains yesterday as comments from US officials fuelled seeds of uncertainty in US-China trade deal. US Trade Representative Robert Lighthizer said US issues with China are "too serious" to be resolved by promises of more purchases of US goods by Beijing. However, weighing on US dollar is mixed US economic data, Fedâ��s patient rate hike stance and easing concerns about Brexit amid prospect of a delay. Amid other factors, gold is supported by increased geopolitical tensions relating to India and Pakistan and concerns about Trump administration as Michael Cohen, the president's former attorney, claimed that President Donald Trump committed crimes while in office. ETF investors moved to sidelines awaiting more clarity on price direction. Gold has been on a corrective phase after failing to breach $1350/oz level and has now slipped below $1330/oz level and could see extended decline till $1315/oz. Easing worries about US-China and Brexit and no further shift in Fedâ��s stance will weigh on price. ENERGY- Crude Oil- MCX Crude Oil may note mixed trade in line with international market but overall bias is on the upside. NYMEX crude trades mixed near $57 per barrel after a sharp 2.6% rally yesterday. Crude has witnessed mixed trade in last few days as market players react to comments from US and Saudi Arabia. Crude plunged as US President expressed concerns about higher price and called upon OPEC to stabilize prices. Crude recovered as Saudi Arabia retorted Wednesday by saying that the twenty-five countries are taking a very slow and measured approach and that their production cut approach was appropriate. Meanwhile, Saudi Arabia also signaled OPEC may continue production cuts in the second half of this year. Crude rose also as EIA weekly report noted an unexpected 8.647 million barrels decline in US crude oil stocks amid higher refinery demand and sharp plunge in weekly imports. EIA however noted that US crude production has inched up to a fresh record high level of 12.1 million barrels per day. Amid other factors, rally in US and global equity market came to a halt amid skepticism about US-China trade deal, mixed US economic data, slowdown in Chinese economy and increased geopolitical tensions. Risk sentiment weakened also as Michael Cohen, the president's former attorney, said that President Donald Trump committed crimes while in office. Crude may witness choppy trade amid mixed factors however the sharp decline in US crude stocks and OPECâ��s insistence on continuing with production cuts will continue to support price. NYMEX natural gas trades higher near $2.8/mmBtu after a minor 0.1% gain yesterday. Natural gas trades higher amid positioning ahead of inventory report. US EIA weekly report today is expected to note a 174 Bcf decline in US natural gas stocks as against 5-year average decline of 104 Bcf. A bigger than average decline in stocks will widen the deficit in US market. Also supporting price is forecast of cold weather in large parts of US in early March which will keep heating demand high. However, weighing on price is subdued demand expectation with nearing end of winter season and higher US gas production. Natural gas may trade sideways to positive ahead of inventory report however the momentum will continue only if EIA notes a bigger than expected decline in stocks. BASE METAL - Base metals on LME trade sideways to lower today after a positive close yesterday. LME Lead was the best performer with 2.1% gains followed by nearly 0.7% rise in Nickel prices and 0.6% gains in Aluminium prices. In other metals both Copper and Zinc ended with 0.2% gains. 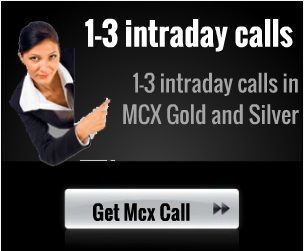 BULLION - MCX Gold and Silver may note some gains tracking cues from international exchange. COMEX gold trades higher near $1348/oz and has tested the highest level since April 2018. Gold has benefitted from general correction in US dollar index as market players position for FOMC minutes and US-China trade talks. FOMC minutes due today will reflect on Fedâ��s stance on rate hikes as well as bond reduction plan. Disappointing US economic data and global economic challenges indicate that Fed may maintain patient rate hike stance. Meanwhile, minutes may show that there were discussions on ending bond reduction plan. US-China negotiations resume Tuesday and are scheduled to continue through Friday. Meanwhile, he US is asking China to keep its currency stable as part of the negotiations. It is likely that we may not see a major breakthrough this week amid possibility of US extending the March 1 deadline and amid possibility of a meeting between US and Chinese President. Gold and other precious metals have also benefitted from rally in palladium price which has hit record high level today on supply tightness concerns. ETF outflows however show weaker investor interest in gold at higher price. Gold holdings with SPDR ETF fell by 0.58 ton to 792.446 tonnes. Gold has rallied sharply after breaking past the $1330/oz level and the rally will sustain only if we see further signs of dovish tilt in Fedâ��s monetary policy stance. 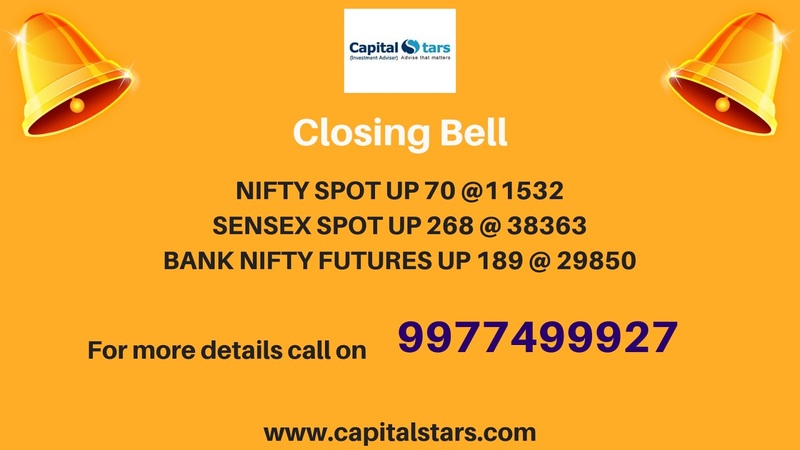 ENERGY- Crude Oil- MCX Crude may note choppy trade tracking cues from international exchange but overall bias is still on the upside. NYMEX crude trades in a narrow range above $56 per barrel holding on to recent gains. Supporting crude price is supply disruption at Saudiâ��s Safaniyah oilfield and Saudi Arabiaâ��s pledge to deepen production cuts as part of OPEC-non OPEC production cut deal. Meanwhile, reports noted that Russian President Vladimir Putin and Saudi King Salman Bin Abdulaziz agreed to extend their joint cooperation on the global oil market. This will ease market concerns that Russiaâ��s hesitance on continuing with production cuts. However, weighing on crude price is higher US output. As per US EIA latest drilling report, crude production from shale resources is expected to rise by another 1% in March. Also weighing on price is expectations of another increase in US crude oil stocks. Amid other factors, crude remains in a range as market players focus on US-China trade talks. US-China negotiations resume Tuesday and are scheduled to continue through Friday. As per reports, the US is asking China to keep its currency stable as part of the negotiations. Weakness in US dollar ahead of FOMC minutes has also lent some support to commodities at large. Crude may witness choppy trade amid positioning near contract expiry but buying on dips is recommended as supply concerns persist and US-China trade talks continue to progress. 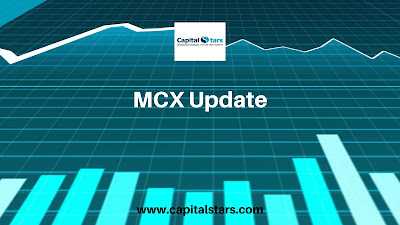 Natural Gas- MCX Natural gas may note mixed trade in line with international market but selling could be considered at higher levels. NYMEX natural gas trades marginally lower near $2.65/mmBtu after a 1.4% gain in previous session. Forecast of cold weather in some parts of US and expectations of a bigger than average decline in gas stocks has lent some support to price. The sharp rise in crude oil price has also lent some support to gas price. However, weighing on price is nearing end of high demand winter season and higher US output. Mixed factors may keep gas in a range however selling could be considered at higher levels as ending winter season may keep a check on demand expectations. BASE METAL - Base metals on LME trade sideways to higher today after most metal ended in green yesterday. LME Nickel was the best performer with 1.65% gains followed by 0.7% rise in Copper and Zinc prices. In other metals however Aluminium ended unchanged while Lead closed 0.4% lower.